I admit, I am guilty of not reading the full reports pertaining to removal, delisting, selling off, and change of legal status of wild animals and wild places in the American West. My lack of reading is not because I don’t care, or don’t think these changes are not critically important or real. Nor is it because I don’t believe there will be devastating impacts on these places or the larger world. But I stop reading because my heart hurts every time I come across another headline that summarizes this truth I know exists. Instead of reading the details, I do not withdrawl. I work quietly in my studio in Livingston, Montana trying to make a difference with the sizes and conditions of human footprints. As a professional who works in the “built environment,” I design single-family homes for people who live in the Yellowstone ecoregion and I’m constantly contemplating the outcomes of our actions. I can’t control everything but it’s what I can do. When I was in school and early in my career I believed designing environments for humans could change the way we see and experience the world. An aspiration that some would call idealistic, I understand as poetic, the experiences that contribute to our feeling part of the world. Similar to my personal transformation when reading the words of Rick Bass, Ed Abbey, Aldo Leopold, Wallace Stegner and Terry Tempest Williams. These writers, reporting from the West, combining their humble observations with poetic experiences of the world, transformed and enriched my understanding of wild creatures and their environments while also bringing attention to the impact humans have on the planet. With reflection and projection on the future, I also began to understand the violence and destruction that architects, engineers and builders bring. We are complicit based upon the values that our work does, or does not, reflect. Seldom do we reflect on what could have been done differently, except in retrospect, after permanent impacts are set in place. It’s been said that few decisions in life have more lasting consequences for future generations than those involving where we live, how we live and where we choose to build a structure. The future of the Greater Yellowstone Ecosystem is being decided today, not just by public land managers but in county and city commission chambers, planning offices, architectural offices and construction companies. How many of them, I wonder, has ever had a meaningful conversation with an ecologist, or pondered how they might be permanently changing a piece of earth whose ecological integrity has been perfected since glaciers retreated? "The future of the Greater Yellowstone Ecosystem is being decided today, not just by public land managers but in county and city commission chambers, planning offices, architectural offices and construction companies. How many of them, I wonder, has ever had a meaningful conversation with an ecologist, or pondered how they might be permanently changing a piece of earth whose ecological integrity has been perfected since glaciers retreated?" At present, private land is being fragmented and piecemealed because the architects and developers of our region have no unifying vision that holds each of us to account. There is no map advising us where or where not to build, but there could be, for nature has given us a cartography that is right before our eyes. One such example is the recently released map demarcating the migration routes of elk, deer and pronghorn. No longer can our larger development community claim that we don’t know better. 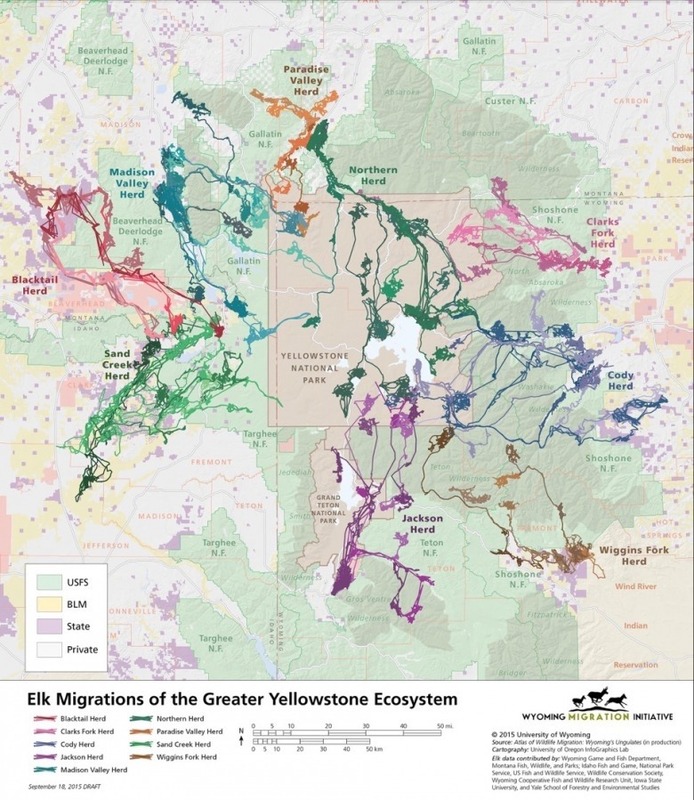 Map of elk migration routes in the Greater Yellowstone Ecosystem assembled by the Wyoming Migration Initiative. As I said in the beginning, I admit, I am guilty, too. The conflict within me is based on this understanding: all making requires a degree of destruction. This destruction is also brought upon the place I love and revere. And while I experience an inner turmoil with this reality, I continue to design and think about how we occupy the Earth. I believe that well-designed, environmentally thought-through architecture and communities can enrich human life experiences and can teach an expanded sense of living in a particular place, many certain to be destroyed if we adhere to other failed or irrelevant models. When designing I try to breathe in the world while learning and thinking about the conditions of the place I design for, that include many of the same landscapes that I have marched for and written letters in support for protecting, voted to preserve with tax dollars and said was important in surveys. Because while I may not read the full scientific or policy reports of what is threatened by human impact I see through first-hand experience that both the places where I live and design and those places far away in many corners of Greater Yellowstone may not survive our modern world beliefs, our practices of violence and destruction, if we don’t choose another route to the future. My own understanding of human impact on the world and its wild landscapes has evolved since I began taking architecture classes in college. These days instead of reading the details of the news I read the poets. Part of my ongoing edification involves visiting the land and sharing the knowledge with clients whom I know would like to do the right thing if possible.. I try to move within a presence of life with animals as much as possible and learn from them by understanding how they move. I am not entrenched in the back-woods. I haven’t even camped very often recently. But my mind-set is of the wilderness. I search for ways to bring these experiences into my work because architecture is not only a cause of destruction but also the creation of art. At its best architecture manifests itself as an experience of poetry for human beings, a profound experience that arises from our sensation of involvement with the world and being apart of the world around us, not simply generating buildings in service to developers or built as provisions for practical needs or profit motive. Architecture communicates through a continuously evolved language and, in my mind, the best kind operates as an extension of its setting where there is continuity and harmony, not contesting. Like nature itself. The outcome exists as much in the progression of development around a historic neighborhood as where a home is placed in the forest or a piece of agrarian open space. Through poetry we experience moments of transcendence (feeling apart of something larger than ourselves) that can change how we understand the world and ourselves on Earth. During these moments we experience being part of something greater than ourselves and we change forever. 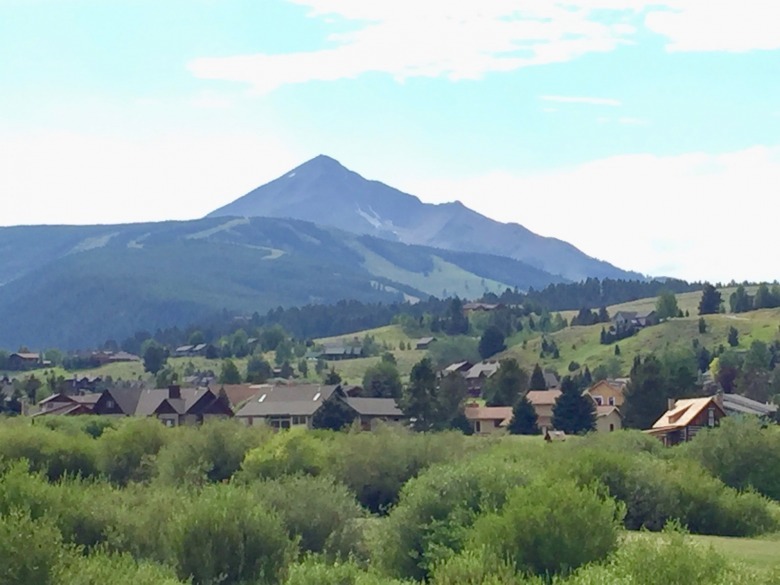 In the Rocky Mountains, (where most building serves development without reflection or afterthought) we seldom have transcendent experiences from architecture. It leaves us with the feeling that we could be in any suburb, whether situated in a magnificent surrounding landscape or not. Architecture can connect us to something deeper, as individuals and as communities. In Greater Yellowstone, opportunities of transcendence, sensing our soul as greater than the boundaries of our bodies, can be experienced in the wild places, the remaining traces of wilderness where the grizzlies survive, the wolves howl and the cougars watch us from above and at a distance. Maps of wildlife migrations force us to ponder a connectivity beyond our own property line and it is empowering to think we have the power to keep something ancient alive. "Architecture can connect us to something deeper, as individuals and as communities. Maps of wildlife migrations force us to ponder a connectivity beyond our own property line and it is empowering to think we have the power to keep something ancient alive." This love of the wild, wild places and wild creatures fill my head, my imaginings and dreams when designing. Amidst the quiet contemplation of design and in search of poetry I also worry, however, if we are now at a point in which there is no longer a chance for a better future, that the dismal reports of changes in policy, human behavior and the growing size of our footprint mark a condition of no return. To challenge my assumptions of reality, I often do something learned in architecture school: “design-think.” This has grown into an engaging process that incorporates the environment into the creative potential of design. I do it while riding my bike on some backroad or hiking a trail that is quiet of humans in the early dawn. With design-think I try to trace the origins of a condition on the ground I observe, I consider the assumptions that fuel the choices we make for how we live. From my designing-mind point of view I consider the subdivision of land before me, that which has already been sized into smaller parcels allowing for a greater density of individual dwellings and that which remains larger acreages. I wonder which condition suggests the better future for our interconnected Yellowstone region including its wild inhabitants: choosing to build to a greater density to hold more human population in less acreage with potentially more open land left over, or choosing to limit ourselves through limiting the subdivision of the remaining large parcels; land that could provide more available open land for wildlife while at the same time reducing the potential maximum population for humans living in the valley. The question underlying these choices relates to carrying capacity (human and wildlife) of the region and our assumed rights. Rights can take many forms. I think about our current prevailing assumptions for land-use, development and design I learned in school, and those I have passed on while teaching college students. The primary strategy we learn in school is more or less a “one size fits all” approach due to the assumption that upon graduating our professional work will be focused on urban settings with suburban surroundings. There is never a consideration of the larger environment and all the creatures we should be sharing the landscape with but which possess a continuous, unbroken tenure. They themselves are organic extensions and expressions of place, as true to the terrain as mountains. Moving from student to practitioner these pedagogic strategies, without any kind of ecological thought pondered, become the de-facto standard that professionals espouse and advise for making the “best” development decisions for the human community regardless of size or location. Often using the cheapest materials to return the highest profit, speed of construction, while passing along hidden costs to consumers or taxpayers, with quantity over quality. Greater Yellowstone isn't just any region. It deserves better. One of the beliefs for developing urban locales is the generic mantra of creating “density” as if density, no matter what form it takes, is always good. The truth is, that’s not always the case. I understand the hopeful outcome of density. I have experienced the benefits of this concept and its expressed ideal in the cities of Portland, Oregon, New York City, Boston, and Chicago where nature has already been severely compromised. I have also experienced Houston, Phoenix and Los Angeles, megalopolises that rejected the density of development concept in lieu of individual property rights to develop land they purchase however they choose. There are no migratory elk or pronghorn herds snaking through the core or outskirts of Houston, Phoenix and Los Angeles. We can all recognize the costs and downsides of rejecting the density model in the sprawl of hundreds of American cities and their suburbs and bedroom communities which no longer have wildlife migrations either. Migration routes are also a metaphor. 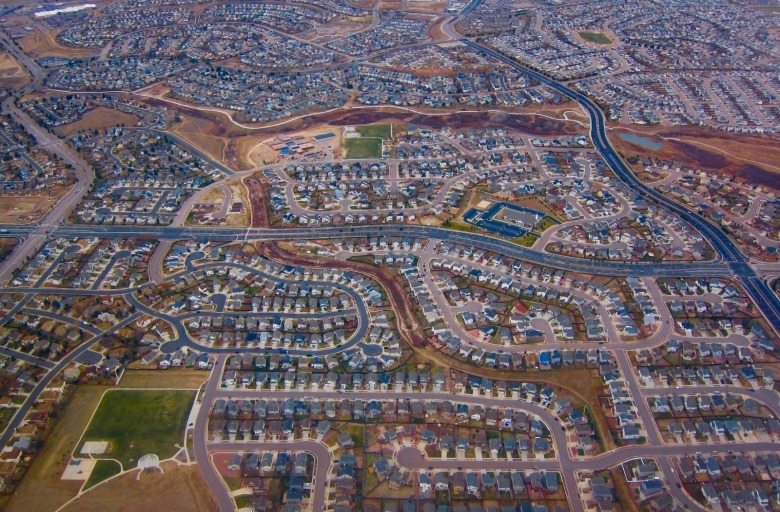 The outcome of freedom being hours on freeways and traffic, inhospitable walking and bicycling environments, loss of locally-owned businesses replaced by the easy access model of big box life, segregation in communities and no consideration for how to provide any sympathetic relationship between humans and other creatures within proximity to development. Despite the fact that we know these sprawled environments are not good for any creature, human or other, we continue to witness the development struggles in many small and rural towns that, that for a multitude of reasons, find themselves pressing up against their rural limits as new residents arrive at an alarming rate. You see it in Bozeman’s bulge of people toward Manhattan and Livingston, Big Sky toward the Madison Valley, Jackson Hole into Teton Valley, Idaho. The cities that focus on high-density development solutions can provide great places for human habitation but real wildness does not exist. Nor can it persist unless it is consciously considered in discussions about what a community wants to be. The nature-pondering strategy conserves open space for other things, needs and uses. However, even with this seemingly positive land use choice we need to ask ourselves the harder questions of what are we ultimately setting this land aside for, and for whom? Is it to protect the ecological baseline of the place or to be merely a haunting reminder of what once was? Human-specific development practices combine with zoning regulations to drive the outcomes we experience in recently developed towns and cities today. Does Bozeman really want to become Portland, Boulder or Provo and does that represent a victory or an unspeakable loss of what we are? And if it is the former, then why live here when there are better urban amenities there? Yes, there is obviously a significant difference in the West, and the Greater Yellowstone region in particular, from other parts of the United States, because of the healthy populations of wild animals that inhabit the larger environment alongside humans. In simple terms this ecosystem exists as a place of wholeness where most others have already been irreversibly fragmented. And the wildlife migration maps provide a starting point for having a bigger discussion about where to focus the human footprint and where not. Currently we are in a quandary, with no existing model to reference and very few professionals to offer guidance for planning a strategy to best retain the wholeness of place that also draws most people here. No outside consultant, if their point of reference is an unwild setting, will be able to give us the insight we need. "Jackson, Wyoming is wrestling with how to manage its human footprint, solve its land affordability crisis and accommodate growth without severely impacting its exurban wildlands. It is a monumental perhaps unresolvable challenge that few others envy. 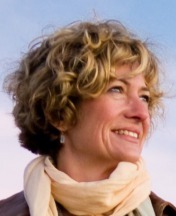 Yet what happens in Jackson does not stay in Jackson, nor Bozeman and the Gallatin Valley." Jackson, Wyoming is wrestling with how to manage its human footprint, solve its land affordability crisis and accommodate growth without severely impacting its exurban wildlands. It is a monumental perhaps unresolvable challenge that few others envy. Yet what happens in Jackson does not stay in Jackson, nor Bozeman and the Gallatin Valley. If the goal is to retain and continue with a human-centered community mind-set perhaps these questions I struggle with, involving protecting what remains of the wild is not critical. Yet if we desire a whole place and an expanded sense of inclusive community identity, a completely different potential for this place must begin to emerge from our imaginations. I return to my design-thinking from atop the hill and can’t help but believe there is a beneficial reason to aspire to the paradox of less density that is better for the whole. I look out to the small streams and their tree cover that disappear into housing developments, the meadows that roll into wooden fences that change to backyards and I witness the reasons to seek out a different development mindset. A way of thinking that instead seeks to retain its wholeness by retaining its wildness. Given the status quo, it’s a daunting vision to ponder implementing here when across most of North America wildness has been eradicated or greatly diminished with the loss of the top-tier predators that in turn affects the food chain from the largest animals present all the way down to the smallest, like bees, along with the behavior of plants and waterways. Most people have difficulty in recognizing the diminished qualities of these places because they are only focused on a human-centered point of view. They check off the advertised amenities of a place, which concentrate on human lifestyle, and not the needs of wildlife. But if we continue to develop the Greater Yellowstone Ecosystem, especially Gallatin County and Bozeman at its current pace and consequential built condition this place will have no wholeness left, no wildness and likely only have a handful of pockets experienced more like a zoo than a wilderness. 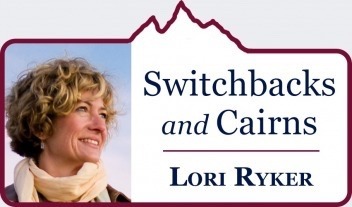 "If we continue to develop the Greater Yellowstone Ecosystem, especially Gallatin County and Bozeman at its current pace and consequential built condition this place will have no wholeness left. This potential wildless condition that is coming is what brings me back to the concept of density, land-use, and our sense of community." This potential wildless condition that is coming is what brings me back to the concept of density, land-use, and our sense of community. How do we come to having the essential iinitial decision that sets the course for insightful policy and environmentally responsive architecture? I suggest we work from a common plan/map that delineates where development should occur and where it should not. Otherwise we are just mindlessly adhering to the old ways and hoping vainly the outcome will be different when we know it won’t. We can start by considering the migration of elk shown on the Greater Yellowstone maps. Considering these and other migrations across the landscape can open our minds to a part of our community that has been here all along. Integrating these necessary cycles for wildlife will result in an entirely new and different design strategy for human land occupancy that would no longer follow the Jeffersonian parceling and subdividing of land but would preserve land and suggest our best use of it as delineated by its natural form and conditions. From this strategy open land would provide the necessary resource for wildlife for their food, raising families and seasonal migration. When was the last time you heard a city or county commissioner pay any heed to the importance of preserving a migration corridor. We need those professionals responsible for shaping human communities to think like wild elk, mule deer, pronghorn and grizzly bears, to look at our valleys and regard the built landscape not as an abstract exercise but one that demands possessing empathy for the places our work is invading. What we do stands to change them forever if we’re not careful. The critical factor in this vision is that this new way of living for humans requires that we set limits on ourselves and our assumed right to develop land as though it is a blank slate or limitless. Shifting away from that mindset would yield a truly enlarged community perspectives on co-survival and existence that benefits a greater whole. I admit, this seems almost impossible to most people. To be communities worthy of the being here, in this incomparable bioregion, we must become the region that other regions emulate in their own struggle to protect the essence of a natural place. No one else will do it for us. The answers will not come from outside. To choose to evolve through a different set of concepts and ideals would be revolutionary in our evolution as humans, something to tell your friends about, to share with your family, and to write about in history books and poems. We must be brave in recognizing that we have the great fortune to live where sweeps of wildness remains and wholeness holds on. We must not let it slip away.